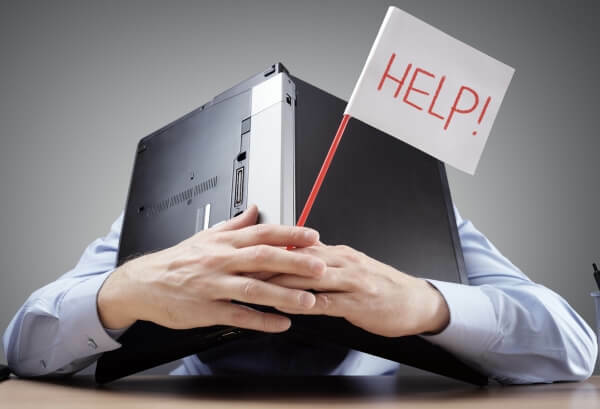 According to a survey carried out by Broadband Genie, a majority of Brits do not feel ads for internet service providers are honest, and many have felt misled by services which don’t live up to the marketing promises. 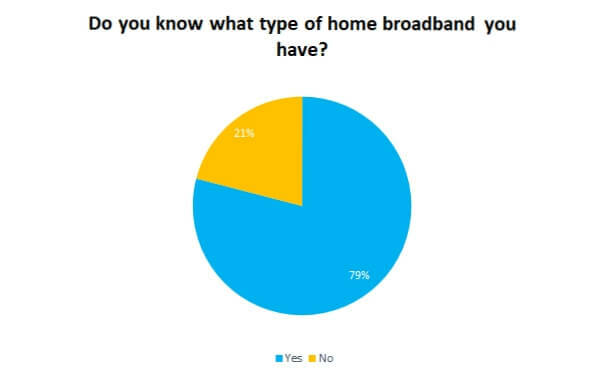 In a survey of 1,384 British broadband users aged 18 and over we asked about people’s experiences with broadband advertising, and what we found was widespread distrust and a worrying amount of confusion around the basic technical aspects of home broadband, especially when it comes to speed. 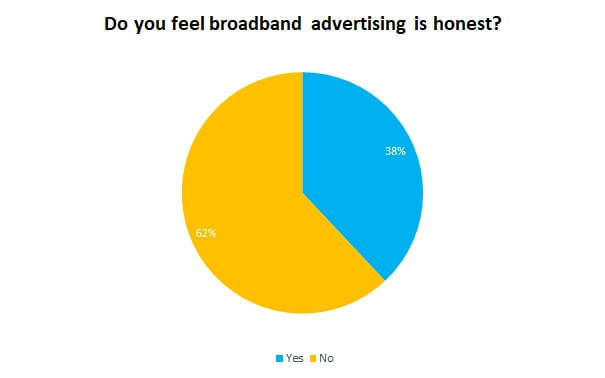 62% of respondents do not feel they can trust broadband advertising. And the ASA is certainly kept busy with complaints about broadband. In the previous year Sky was hit with an ad ban in July for claiming its broadband was “super reliable”. While BT got a dressing down for its ad starring Ryan Reynolds where it boasted of having the “UK’s most powerful Wi-Fi signal”. Lots of the ASA’s broadband advertising rulings stem from rival providers complaining about each other. 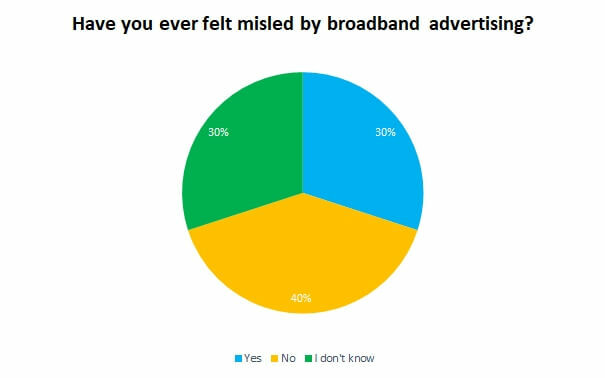 But our survey found that some broadband users do feel they’ve been impacted by exaggerated claims, with 30% saying they were misled by broadband advertising. 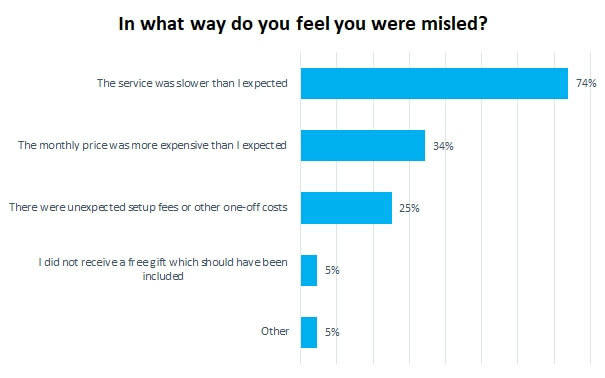 The most common cause for complaint was broadband speed that fell below expectations, but a significant number also said the service had ended up being more expensive than they’d been led to believe. At present, providers are permitted to state a maximum “up to” speed so long as it is attainable by at least 10% of their customers. However, in practice it means that the majority of people will never see the level of performance quoted in adverts. Changes coming into force later this year will mean ISPs must state an average speed, which is based on the peak time performance of at least 50% of customers. Providers will also need to guarantee a minimum speed, and broadband users will have a right to walk away from a contract penalty-free if they don’t receive it. But it’s not as straightforward as simply making advertising clearer. Our survey also indicates that more work needs to be done to help consumers understand what it is they’re buying. 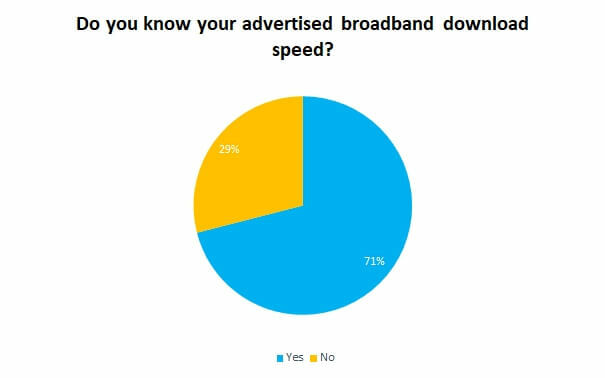 29% of our respondents said they did not know the advertised speed of their service, and 21% (excluding Virgin Media subscribers, who were not asked this question) said they did not know what type of home broadband they had. As a result many broadband users may be paying too much or have services which are inappropriate for their needs, and may struggle to compare deals without a clear idea of how to weigh up the pros and cons of each provider and service.